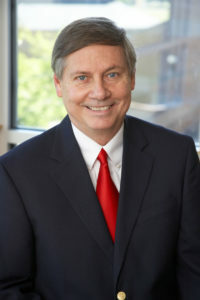 Dr. Larry Davis was appointed chancellor of the University of Arkansas Community College at Morrilton in September 2010. Previously, he served six years as vice chancellor for academic affairs at Arkansas State University-Newport. Prior to that, Davis worked for over 30 years as a math instructor, math/science supervisor, general studies department chair and division chair over business and general studies at Oklahoma State University-Okmulgee, a two-year technical branch campus of Oklahoma State University. During his time at ASU-Newport, Davis helped the campus add several new academic programs and put in place a full schedule of distance courses, including three online degrees. At the state level, he has worked closely with the Arkansas Department of Higher Education to develop a student-transfer matrix, among other projects. He currently serves as a consultant-evaluator for the Higher Learning Commission of the North Central Accreditation Association, a role he has had for the last 19 years and also serves on the Institutional Actions Council, Level 2, for the same organization. He serves as a member of the Morrilton Chamber of Commerce Board of Directors, the St. Vincent – Morrilton Hospital Board and Finance Committee and as a member of the Morrilton Rotary Club.